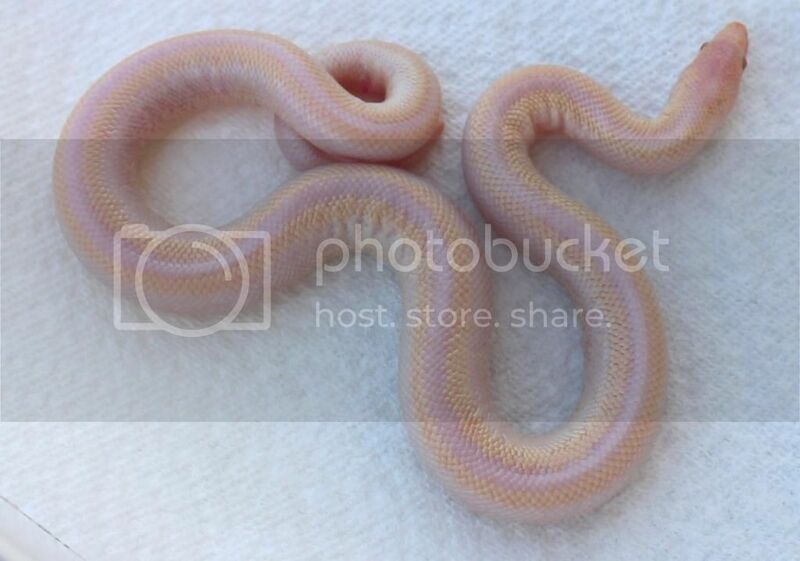 Kingsnake.com - Herpforum - NEW ROSY MORPH ! Rosy Boas run a gamut of visual expression in their normal wild type form ranging from brightly colored hues to awash in dark monotones. However, to qualify as a morph, a rosy boa must appear distinctly different from its normal wild type population, and this different appearance must be an inheritable trait. In Rosy Boas there seems to be two types of inheritable traits, simple recessive, and those that are created through the process of selective breeding. Simple recessive mutations can only be produced if both parents carry at least one gene for the trait being bred for. Desired, or artificially enhanced traits, can be accomplished by selectively breeding similar appearing Rosy’s over several generations. 1. A "Natural" morph exhibiting a genetic deviation of appearance in the normal wild type example such as albinism or anerythrism. 2. 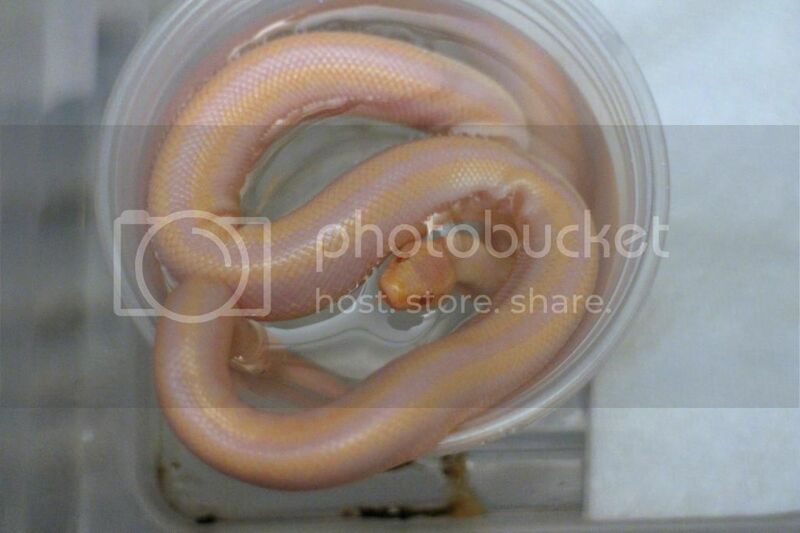 The captive bred genetic confluence of two different natural morphs creating a "Designer" morph such as a snow. 3. A "Selectively Bred" morph by manipulation of colors or patterns through artificial selection to create a desired affect over multiple generations. This project was started in 2003 and represents the first completion of several morph projects we hope to bring to fruition over the next two years. 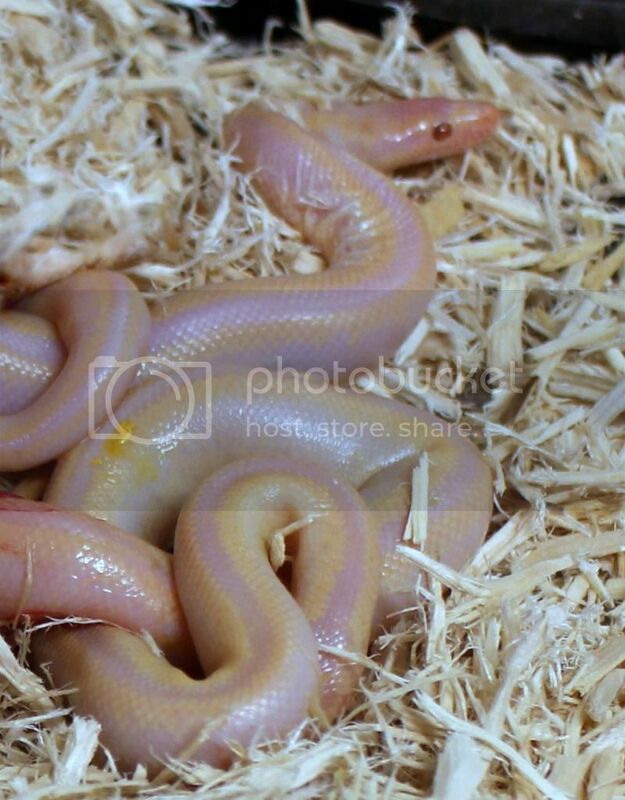 The idea behind this project was to create a rosy boa that would express a beautiful new and outrageous color palette. The alteration of color and pattern variation was slowly accomplished through the combination of selectively breeding naturally occurring locales, and adding the introduction of a Natural morph gene. Two of the three defining categories were combined in the eventual outcome making these new examples a “Natural, Selectively Bred” morph. Working with various albino genes over the years had led to an understanding of how certain naturally occurring colors would visually appear when expressed in albino form. Additionally, the manipulation of Rosy Boa patterns could allow for placement of new color locations. It was with both of these concepts in mind that the ending morph result was achieved. An eleven year project may sound ridiculous to some (and at this point even to me) but I just keep thinking those ball python guys have no idea what they’re missing!